Palafox Central Suites, Madryt, Hiszpania : Rezerwuj teraz! 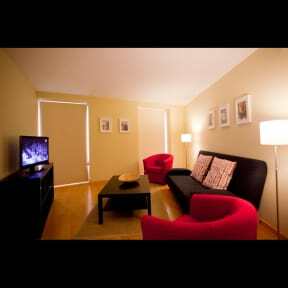 These large, stylish apartments are located just 5 minutes' walk from the lively Malasaña and Chueca districts. All of the air-conditioned apartments have flat-screen HDTV, balconies and free Wi-Fi. 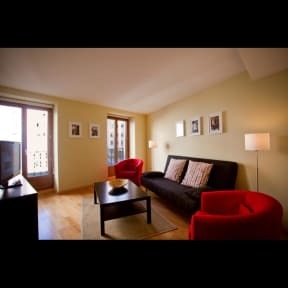 Both Bilbao and Tribunal Metro Stations are within 2 minutes' walk of Madrid Central Suites. The Puerta del Sol, the centre of Madrid, can be reached in about 10 minutes' walk. All of the bright Central Suites apartments have modern kitchens with dishwasher, washing machine and microwave. They also have central heating and parquet floors, and all bed linen and towels are included. Fuencarral Street, just 50 metres away, has many restaurants and shops. A taxi rank can be found 2 minutes' walk from the apartments.